Our classic soak has been reformulated with the added healing benefits of a balanced CBD:THC ratio. 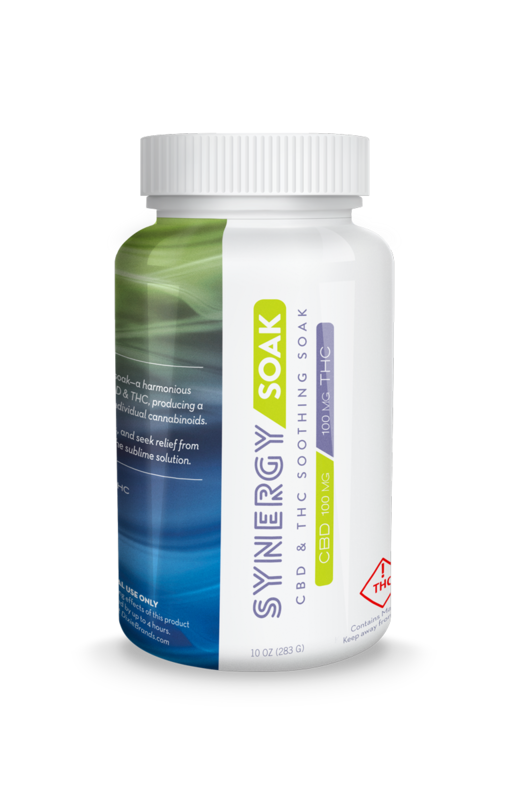 Use SYNERGY Soak to ease stress and relieve anxiety and inflammation. 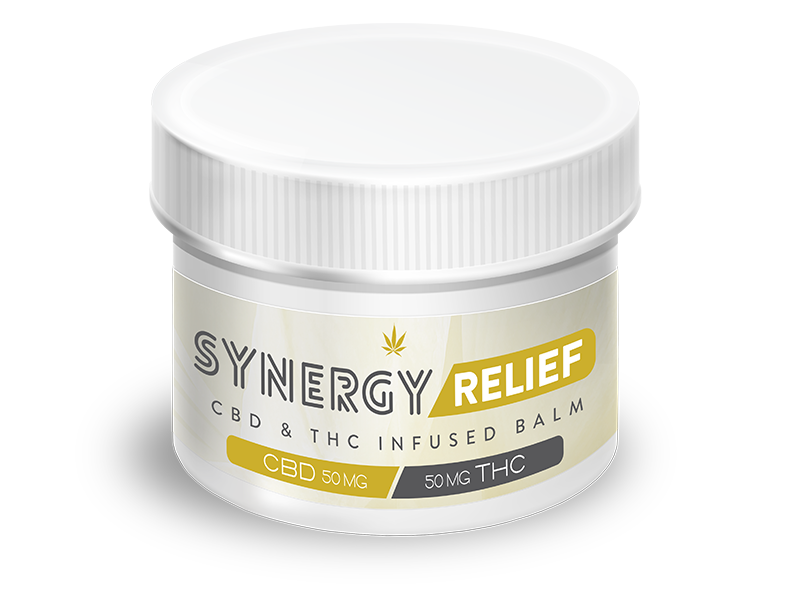 SYNERGY Soak blends premium sea salts with aromatic herbs such as rosemary, lavender, and cedarwood to enhance the combined natural benefits of CBD and THC. BATH: Dissolve 2–5 oz. into a warm bath to provide full-body relaxation and ease muscle and joint pain. HANDS & FEET: For more localized treatment, dissolve 1–2 ounces into comfortably warm water. INGREDIENTS: Sea Salt, Magnesium Sulfate, Lobelia Extract (Isopropyl Alcohol, Lobelia Inflata Seed Extract), Sodium Bentonite Clay, Sodium Bicarbonate, Rosmarinus Officinalis (Rosemary) Oil, Lavandula Officinalis (Lavender) Flower Oil, Cedrus Deodara (Cedarwood) Oil, Pinus Sylvestris (Pine) Needle Oil, THC Oil, CBD Oil.